f8=Q Rxf8 2. Re1 Re8+ draw after White Rook’s capture Black’s King Pawn with support from the King. 1. Rxf1 exf1=Q Black will win! If White Rook leave 1st rank, Black King Pawn will promote. Re1 Rf2 ......black rook can not capture Rook at e1 if 1. … Rxe1 2. f8=Q+ Kc7 3. Qc5+ Kd8 4. Qa5+ (3. … Kb7 4. 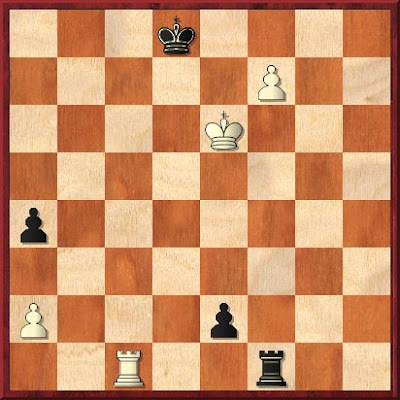 Qb4+), Black loses Rook.